GVR estimates low concentrations of precipitable water vapor and liquid water path from brightness temperature measurements using four double-sideband receiver channels centered at 183.31 GHz +-1, +-3, +-7 and +-14 GHz. 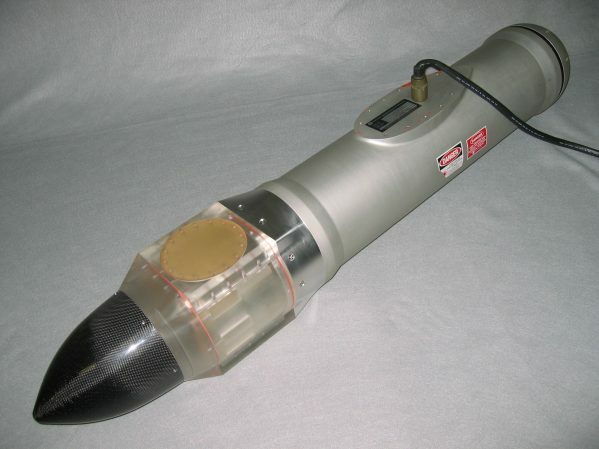 The instrument is packaged and wired to operate from a standard PMS probe canister. 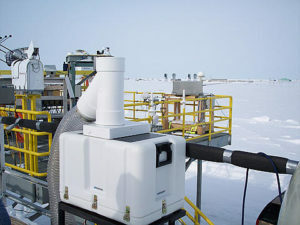 A ground-based version of this instrument is also available for measurements in arid climate. On October 26, 2006 the NRC Canada Convair aircraft descended into a liquid cloud for a 50 minute level flight leg, then ascended out of the cloud layer. 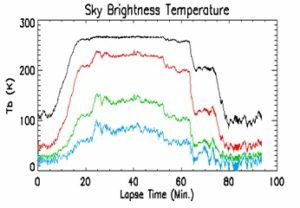 The recorded zenith brightness temperature from the four receiver channels is shown in Figure 1 and the corresponding retreived Precipitable Water Vapor (PWV) and Liquid Water Path (LWP) are shown in Figure 2. 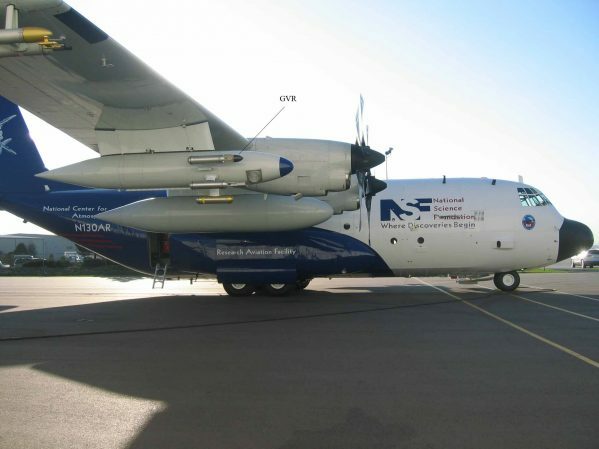 Figure 1: Data collected with the Airborne GVR during a CloudSat validation flight near Ottawa, Canada on October 26, 2006. Zenith brightness temperature data is shown from the four double sideband receiver channels: Black=183.31 GHz +-1 GHz, Red=+-3 GHz, Green=+-7 GHz and Blue=+-14 GHz. 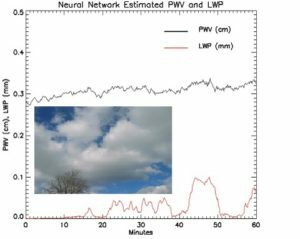 Figure 2: Precipitable Water Vapor (PWV) and Liquid Water Path (LWP) estimated using a neural network algorithm from the measured brightness temperature data of Figure 1 and flight level air temperature. The neural network was trained with a combined multi-year radosonde data-set from Albany, New York and Barrow, Alaska. 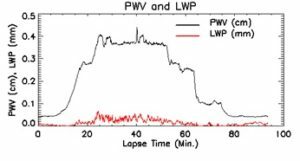 The sounding data was processed to a data set of brightness temperatures at the four radiometer frequencies, air temperature at the instrument and corresponding PWV and LWP. This simulated data set was used to train and test the neural network. Figure 1. This prototype ground-based GVR has been continuously operating since April 2005 at the Barrow Alaska DOE ARM site. Figure 2. 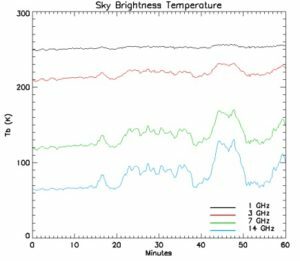 Brightness temperature data collected with the ground-based GVR in March 2005 at Amherst, MA from clouds containing super cooled liquid water. Figure 3. Precipitable Water Vapor (PWV) and Liquid Water Path (LWP) estimated using a neural network algorithm from the measured brightness temperatures of Figure 2 and surface temperature data. Pazmany A. L. and M. Wolde 2008: “A Compact Airborne G-band (183 GHz) Water Vapor Radiometer and Retrievals of Liquid Cloud Parameters from Coincident Radiometer and Millimeter Wave Radar Measurements.” Extended Abstract, Microrad 2008, Florence, Italy.